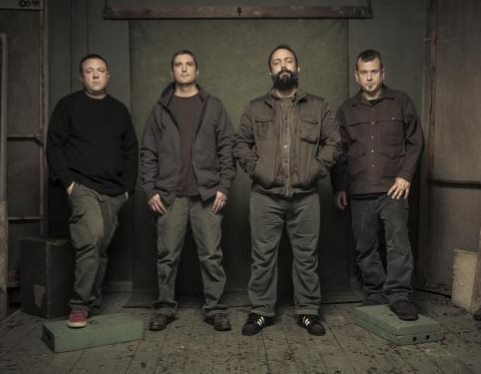 Clutch have completed recording sessions for their forthcoming twelfth studio album. The Maryland outfit have been working on the follow-up to 2015’s “Psychic Warfare” with producer/engineer Vance Powell at Sputnik Sound studios in Nashville, TN. "So, an hour or so ago, we wrapped tracking the new @clutchofficial record,” tweeted Powell on January 27. “I can't wait for you all to hear it. But unfortunately, you'll have to." "They're my favorite songs," guitarist Tim Sult recently told The Advocate about the project. "At this point, we probably have more songs than we've ever had before going into the studio. The material is a little heavier. It has a more doomed-out vibe and feel. We're going to record more live. "It's our first time recording in Nashville. Who knows? We might end up with something that sounds like a Garth Brooks album." Details regarding the project’s release will follow in the coming months. Clutch are scheduled to begin their 2018 live dates at the Las Rageous 2018 Festival in Las Vegas, NV on April 20; other confirmed festival appearances include Welcome To Rockville in Jacksonville, FL, the Carolina Rebellion in Charlotte, NC and Pryor, OK’s Rocklahoma this spring. So, an hour or so ago, we wrapped tracking the new @clutchofficial record. I can’t wait for you all to hear it. But unfortunately, you’ll have to..